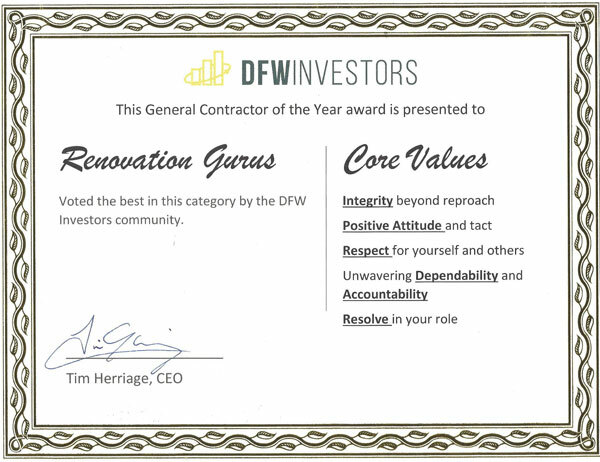 Renovation Gurus was founded to challenge the current “status quo” of other home remodeling companies. How? By offering a more affordable option for home owners to receive the highest quality of both property renovations and customer service. The founders of Renovation Gurus grew tired of contractors over pricing construction materials and not completing quality work in a timely manner. So, with over a decade of experience in home remodeling and investment real estate, they felt it time to bring all their resources together and open it to the public.